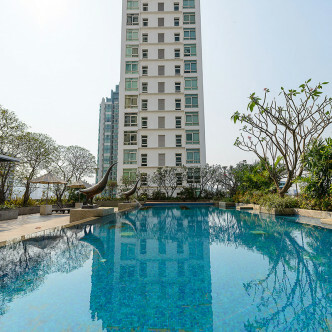 The Height was built in 2006 and features 28 floors containing a total of just 53 units. 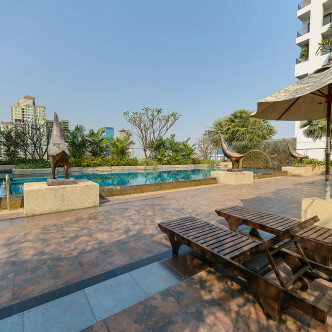 Although it is situated located in the very heart of Bangkok, this building is set in a peaceful area and offers plenty of homely touches. Each of the units here is fully furnished with modern décor and also boasts desirable features such as a fully equipped kitchen, a large balcony and a bathtub. One of the great things about The Height is that the building features plenty of great shared facilities. 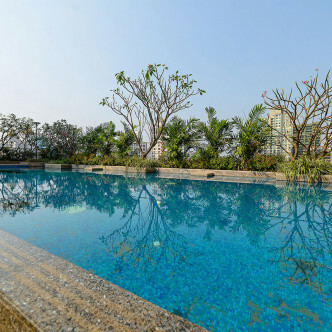 The large outdoor swimming pool is elevated so that it offers stunning city views and is surrounded by sun loungers, while the building also features a modern fitness centre where residents can work up a sweat at any time of the day. This impressive building takes the Thong Lo district as its location, which is one of Bangkok’s most sought after neighbourhoods. 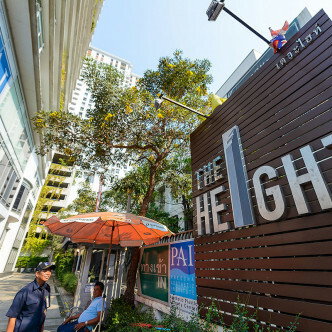 The Height is situated within easy walking distance of the Thong Lo BTS networks, making it easy to travel to virtually anywhere in the city either for work or recreation. There are also plenty of local attractions to be found in the area including shops, restaurants, cafes and spas.